It's just an ARG. A Game Theory ARG! The Game Theory Merch Mystery and an unnamed arg commencing on 29/8/2018 are ARGs created by the Game Theory Team: Matthew Patrick and Stephanie Patrick. The Merch Mystery was created to promote new Game Theory merchandise, so it may be possible that the next ARG is created to promote more products by Game Theory. 2.1 What is MatPat Hiding? On 08/10/2018, MatPat announced on his twitter account that New Merch had been released, and that a puzzle involving the merch was also created. 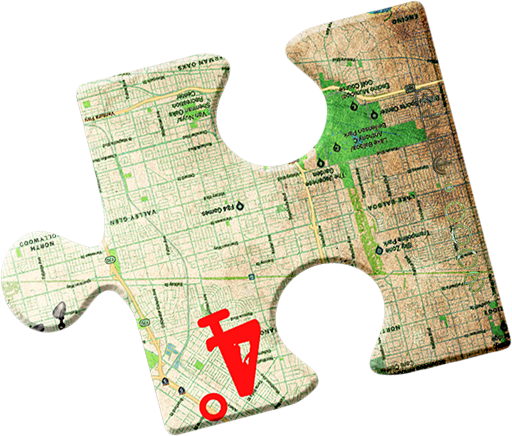 Although the clues necessary to complete the puzzle were hidden in merch, no purchase of said merch was necessary to complete the puzzle. Some people who purchased the merchandise noticed 1 of 6 spelling errors on their carrier bag that the item was stored in. The 6 spelling errors were all in place of the letter "o" in the word "theory". The 6 spelling errors could then be rearranged to spell "t#30r%". This would be used later on in the ARG. This website showed a A 1:00 minute video of MatPat's face with big eyes surrounded by a weird background a rays coming from his head. This decoded to THE THEORIST GATEWAY DOT COM, and led players to a new website. Players were greeted with one final 6 character password to put in. Players found the password to be t#30r%, from the merchandise bags. 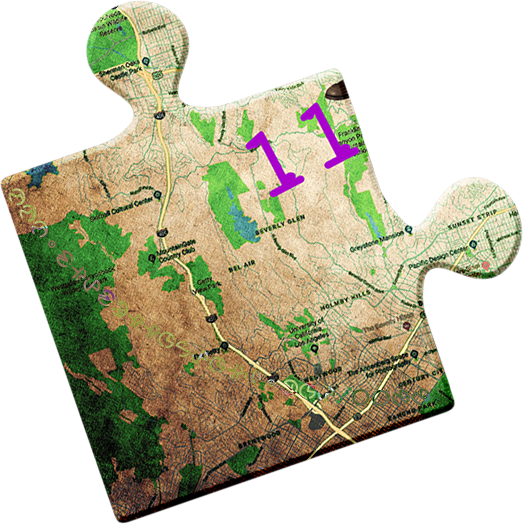 The first 100 players to solve the puzzle received a prize for completing it so quickly. On September 16, 2018, The Game Theorists YouTube channel released a video titled What is MatPat HIDING?. In it, MatPat did a post-mortem on the Merch Mystery and what his plans for the future are. He also hid 3 clues within the video. 2 were red herrings and 1 was real. Uifsf bsf op Fbtufs Fhht jo ifsf. Hp bxbz. There are no Easter Eggs in here. Go away. Finally, a suspicious looking tag may appear within the video description, titled #UCVNTZJXAuvE3C7SfOsPNgEA. This was found to be a YouTube channel ID, which led players to a YouTube channel titled tenretni olleh. The channel's banner consisted of a black image with the message "patience is the key" repeated across it. 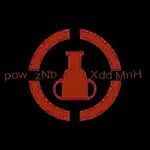 The channel icon consisted of a red, inverse Game Theory logo, with the text pow zNb Xdd MnH instead of yroeht emag. This may be interpreted as it is, or can be turned upside down to give HuW ppX qNz mob. in the water." Consider it our open b3ta. because it’s about to get real. Timestamp shown through brightness and contrast changes. This hinted at altering the image so that each of the RGB values of colour are changed to 254, 1 less than 255. This was also hinted at in the filename, ff is 255 in hex, therefore fe is 254 in hex. When the image was altered according to these instructions, a timestamp was discovered. The timestamp is dated 29/9/2018 at 00:00:01 PST (08:00:01 UTC). If you also look at the source code for the site, you will find the hidden message "Return on the date which is hidden." At 8:00 UTC, https://www.thetheoristgateway.com was updated, changing from the letter to a broken countdown. The file's name (patienceisthekey6974736a75737461636c6f636b6775797372656c6178.gif) contained hex that translated to itsjustaclockguysrelax . The only other clue on this page was located on the css of the page. Mysterious class names called "patience" and "enter the URL" suggested there were other clues to be found. At 0:17, the title screen at the end of the intro changes the usual Koopa to Link from Zelda. As of now, it holds no clue but Matpat may change it again in other videos revealing clues. When the audio is but into a spectrogram, more symbols are discovered. These are believed to be a complete alphabet of all characters, including letters, numbers and operation signs. [www.thetheoristgateway.com/notthefirst18fc17.html That website] shows an incomplete website link with a spinning red game theory logo replacing a directory. The first URL shows a still image of an equation, a word search and some symbols from before. The symbols translate to that's not a tvpo , and the filename of the image (HuWppXqNzmod_57656c6c20746861742077617320656173792e20446f6e277420676574207573656420746f2069742e.jpg) contains hex which translates to Well that was easy. Don't get used to it. . The second url shows a gif of a changing crossword, with a longer equation and more symbols. The symbols translate to must be a typo , the filename of the image (powzNbXddMnH_536c6f70707920776f726b2c20796f756e67205468656f726973742e203c696e7365727420534d48206d656d653e.jpg) contained hex which translated to Sloppy work, young Theorist. <insert SMH meme> , and the numbers in the equation can also be translated as hex, which read deadend . At the bottom right corner of the first image, using imaging software revealed a clue: the first 17 Through a jump in logic, it was suggested this could be referring to the first 17 games made by Nintendo. This was confirmed when the games could be found within the word search in the first URL. These game titles also all had one symbol within them that could be translated. These symbols also had a specific color. When ordering the titles by release date and grouping by the color of the symbols, a message could be deciphered from it: lucktoheaven . This was the final clue, and inputting it into a bit.ly link (bit.ly/lucktoheaven) lead to the final URL: https://www.thetheoristgateway.com/leavelucktoheaven. This image is believed to be the end of the "warm-up". In similar fashion to the notebook from the first ARG, the image contained a wealth of information about the ARG and the plans moving forward. The image also reveals a date for the arg to start. The time on the iPhone next to the notebook reads 12:07 11/24/18. Assuming the date is in PDT, The confirmed start of the arg (and release of new merch) was 12:07:01 PDT (19:07:01 UTC) 11/24/18 November 24th was also the release of the Until Dawn theory, but no link between the future ARGs and the video has been found as of yet. By converting the numbers from the barcode of the pen in this picture from hexadecimal to text, the word yoshi is outputted. Upon checking the file titled "main.css" on this image, MatPat leaves a message: Wow you guys are digging deep. I guess we could put something in here, couldn't we? Later, a theory was uploaded to the Game Theorist channel which included a section in the intro with the Tenretni Olleh logo and a long string of repeated phrases: "THAT'S JUST A THEORY" and "THAT'S NOT JUST A THEORY." Converting the former phrase to 1's and the latter to 0's revealed an incoherent string of binary. Altering the string to make it decipherable revealed the phrase the clue is purple, however, many players found the method used to find this result to be questionable at best. All Answers and hints to puzzles will be revealed after the arg is over. The Gate Opened on 11/24/18 at 20:07:00 UTC, and contained 5 keys. Each of these required a puzzle to be solved. Once all 5 keys were solved, a "final clue" would be revealed, which may take effect on Gate 7. 1 word (7). A gif of something released on July 15 1983. 2 words (5,6). 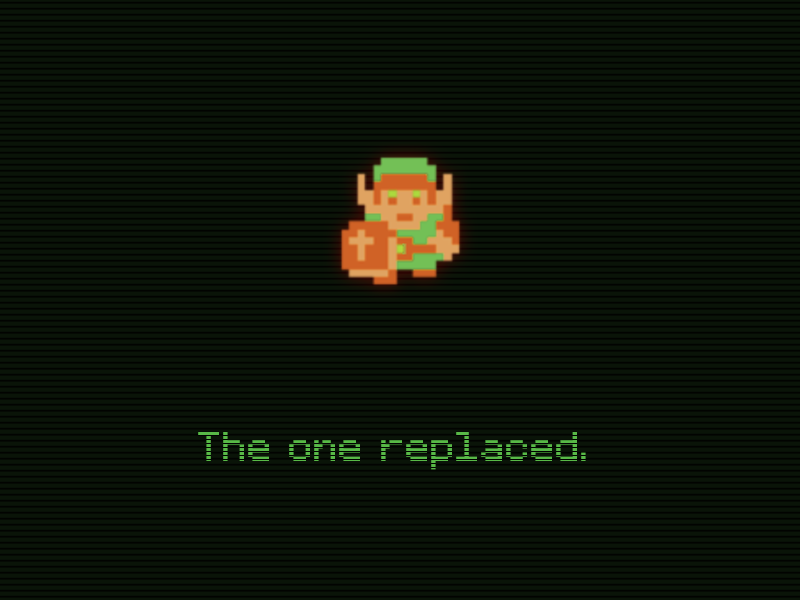 An Image of Link with the text "The one replaced" below him. A link to the "The END of Princess Peach" video on the Game Theory channel was also placed beneath the image. 7468616E6B796F750A is ‘Thank you’ in hexadecimal. The word more in this announcement is misspelled but no other information has been found. On December 8th, the gate was opened, however the volume of traffic the site received caused the site to crash. The majority of people got stuck on a 404 error page, with a tiny amount of people actually managing to get to the real page. Creator Ink, the site that hosts The Theorist Gateway, decided to postpone gate 2 until after the site could handle the theorists, and said they would change the clues. On December 14th, it was announced that there would be "Beta" gates before they reopened gate 2.
https://www.unturnnostone.com/theseventh/spaceandtime.html has the text: well met theorist, you have entered the dimension of spaceandtime. your next step is to travel to alternaterealities you have everything you require to go. well done theorist, the seventh stone is trapped between two dimensions. the first is 444. the second is hidden. find it. multiply the two dimensions and add .htm to journey forward. the theory stone you have found it! it's so... beautiful. but this is only a hologram. the true theory stone lies beyond. return to the gateway and enter 'enots yroeht eht' to enter the portal. GO! For gate 4, only key 1 was the same for everyone. There was a video where MatPat thanked the players for doing the ARG so far and as gate 4 is the 'halfway point,' players were rewarded with a game to play where they had to shoot balls through holes in a shape while spinning. At the end of the video, MatPat said to add up the scores of the gameplay screenshots shown in the video. Adding them together is 77, which is the key. All the other keys were unique to each player's gameplay and as they finished the level, they would recieve the password for that stage/key. The Beta Gates were announced after the failed opening of gate 2. The purpose was to check if the site would be able to withstand the sheer volume of theorists that were entering the site. It was also announced that the Beta Gates wouldn't affect the leaderboard for the real gates, but would instead have their own leaderboard. The first of the Beta Gates already hid a clue, even before it opened. In the time leading up to the gate's opening, the gate flashed a message in morse code, which translated to "Break Me". Prizes were promised for the first 77 to finish. The Top 77 would get some 'Free' merch (Excluding shipping), and the top 10 to finish would get a $50 Creator Ink Gift Card. On December 20th, the first Beta Gate opened. Unlike the main gates, it only consisted of 3 keys, but they were still as hard as usual. The site stayed up this time, unlike with gate 2, but the leaderboard still had problems. The clue given on the site was this. The video was ◉youareprepared◉ by tenretniolleh. In this video, the Nintendo logo moves past mario and the text underneath is 'black is zero, red is one obvy'. The page was a 404 error but a fake one, if players right clicked and clicked inspect the elements on the page and went to the sources tab there were 3 files, a css, a html and a png. The PNG's name was V29udCBjcmFzaCBUSEITIHRpbWUh which fitted perfectly into the final answer box. The Second Beta Gate opened on December 28, 2018 at 20:00 PST. the seventh stone. Stuck eh? Here's a hint: Addition is all you need. Plugging that into the link that was before: The link took players to The gif had stones falling down the screen which had different numbers in the alien text on them. The bottom text reads: unbreakable But unbreakable doesn’t fit into the answer so players had to translate unbreakable into hex which was 756e627265616b61626c65 which fit perfectly into the answer box. The clue given on the site was this. The YouTube video linked to the screenshot of the image was https://www.youtube.com/watch?v=gxzKZdTxNp8&t=22s (GameTheory: Gaming is BROKEN! …What Comes Next? By The Game Theorists) In the video, the title of the 'painting' was Pretentious internet ramblings. At the bottom of the picture there was lighter text that read: bit.ly/bg3thefirstpiece This redirected to https://www.dropbox.com/sh/2j6ty3xx9limsr4/AAD4BCnMsxsm7gpEEXVeBXaka?dl=0 Which contains a puzzle piece and instructions. The instructions read: 1. Download "The_First_Piece.PSD" to your hard drive. 2. Go to www.photopea.com 3. Open the file. Tip: "The_First_Piece.PSD" is a multi-layered image file that must be Downloaded. Saving the preview image won't work. 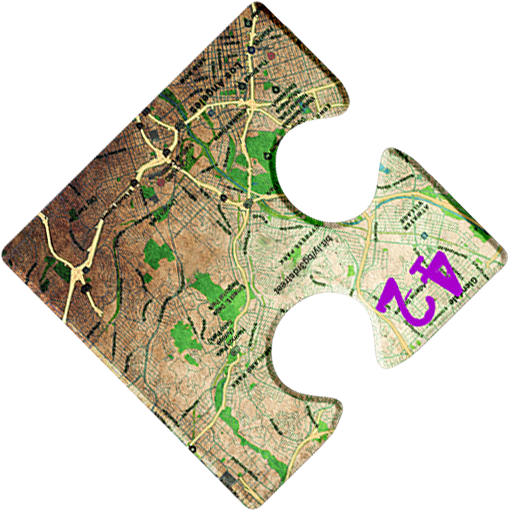 The first piece was this image which would be 1 of 9 puzzle pieces that players were to find. The second piece was which lead to . 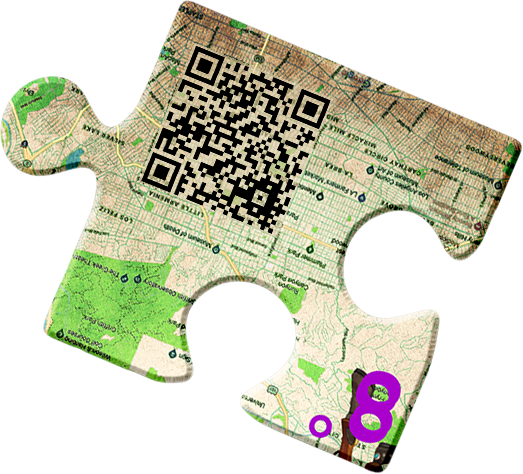 The image contained the hex which decoded to ‘openmeinatexteditor’ . 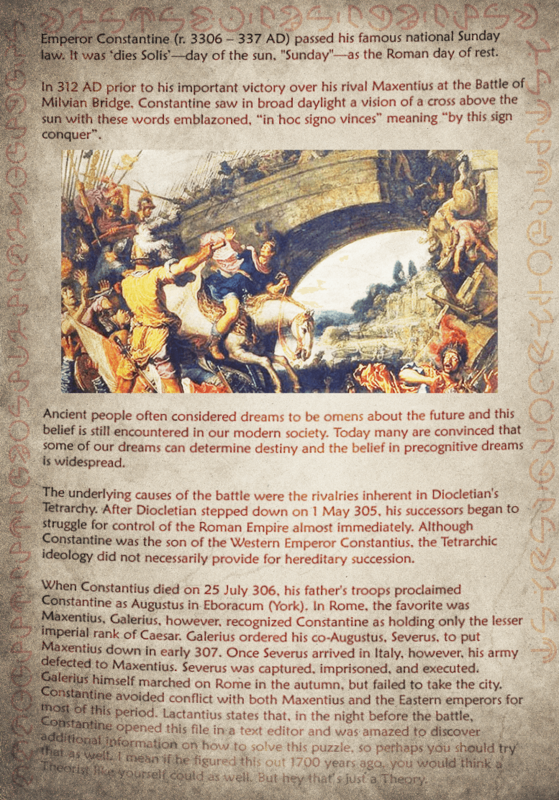 Opening the image in a text editor and scrolling to the bottom, players revealed the text: You are one third the way. , when opened in a text editor and then scrolling to the bottom, more instructions are revealed: Hello again, Theorist. You shall have your final piece. 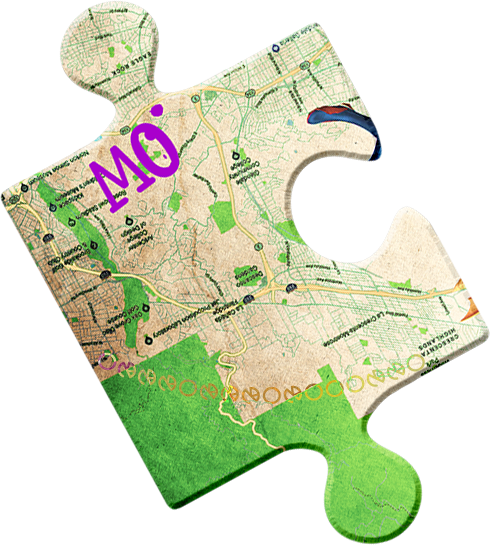 contained the final piece of the 9-piece puzzle. The completed puzzle revealed a blurry spyro, spiderman and ratchet and clank. 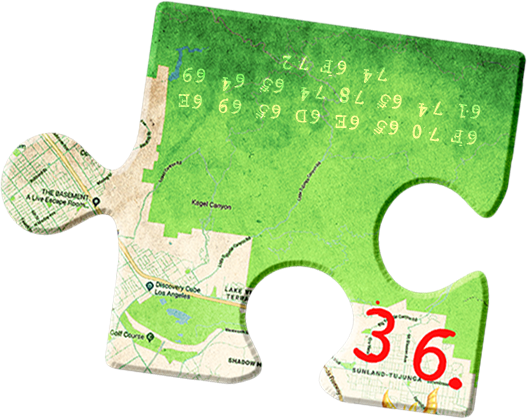 It also contained the coordinates 34°11'36.8N, 118°20'42.0W This all points towards the game studio Insomniac Games. Insomniac Games was founded on February 28 1994 which is the key. 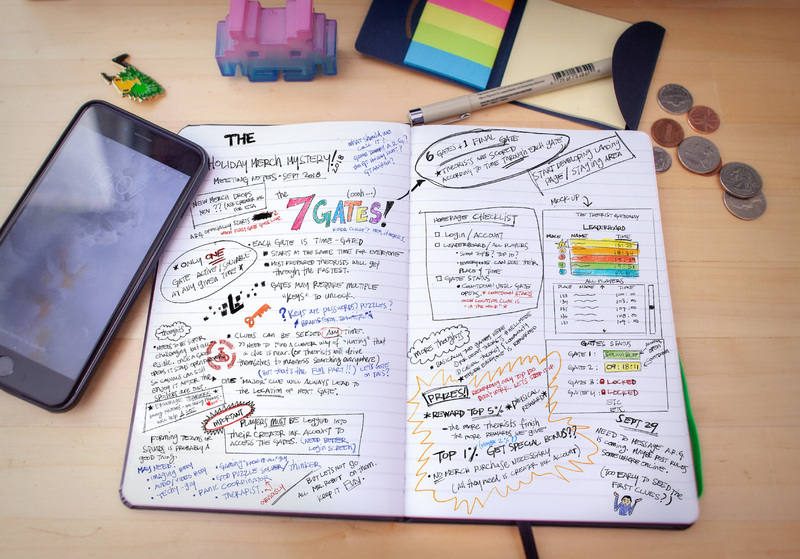 This page was last edited on 12 April 2019, at 10:23.